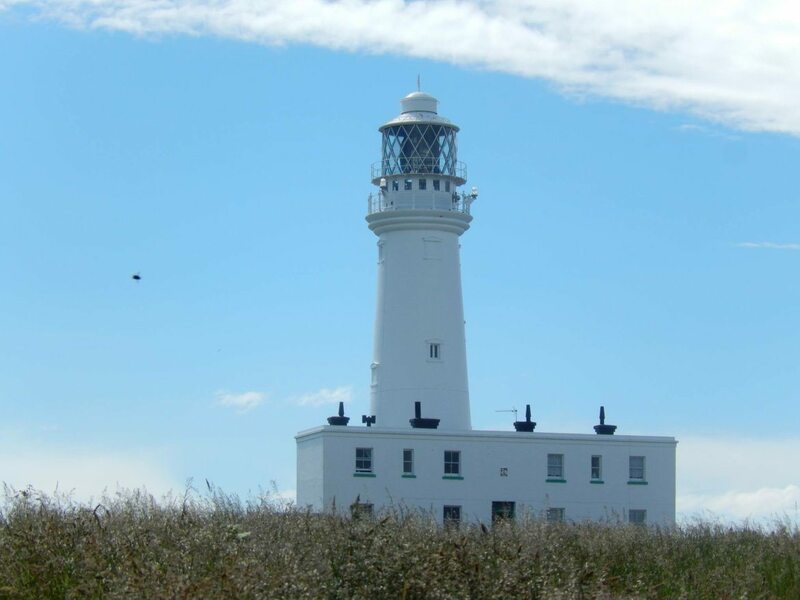 Are you looking for a fabulous Bed and Breakfast in Bridlington? Then look no further. 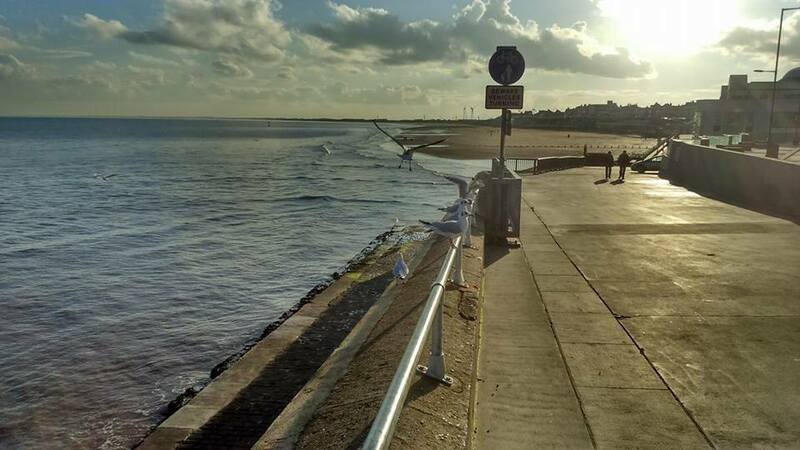 In this post not only will you find out all about the Etherleigh Guest House – a highly recommended Bed and Breakfast in Bridlington – but also all about things to do in Bridlington itself. 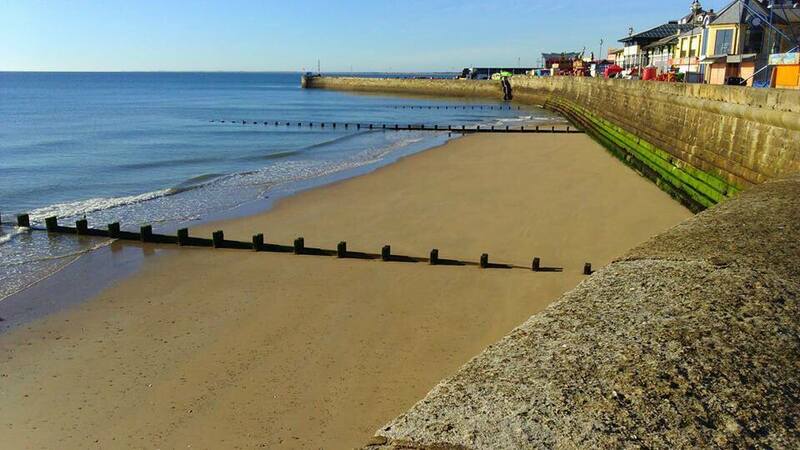 This insider’s guide to Bridlington comes from Jo the co-owner, with her husband Kev, of the Etherleigh Guest House. My name is Jo Elkin and I live in Bridlington which is situated on the beautiful East Coast of Yorkshire, where I run the Etherleigh Guest House with my husband Kev. We have been here 5 years now after selling our house, giving up our jobs and tearfully waving goodbye to our families to quit the rat race and seek a better quality of life living by the coast. 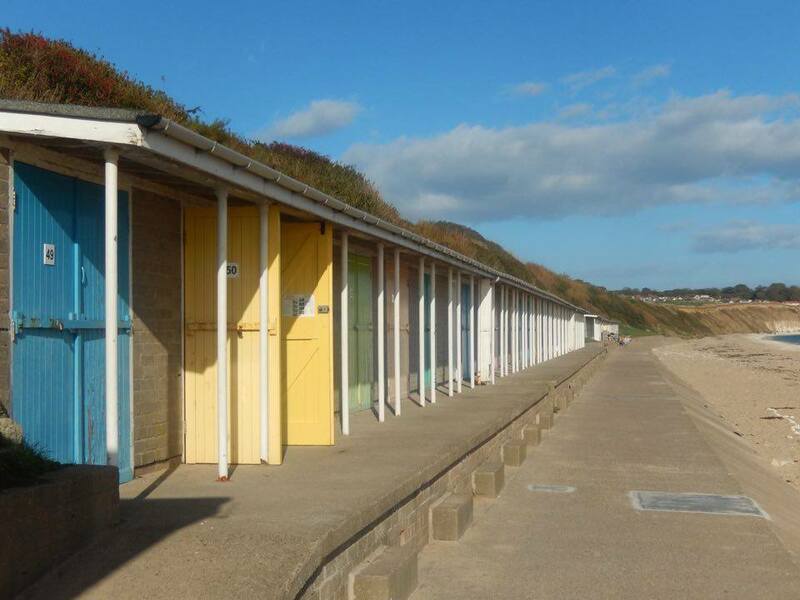 We are centrally located in Bridlington and convenient for all amenities. With 7 bedrooms, of which several are en-suite, the Etherleigh provides all the comforts of home whether you choose to stay with us for one night or longer. We also pride ourselves on our excellent breakfast! If you would like to make a booking at the Etherleigh Guest House details can be found are at the end of this article. 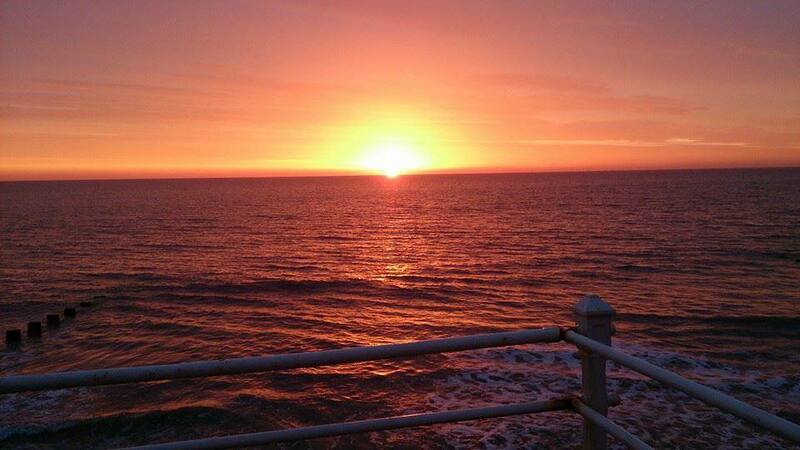 We look forward to welcoming you to beautiful Bridlington. The best thing about living here is being able to walk by the sea everyday as it is never the same 2 days in a row, and to watch the circle of activity which grows and fades as the season comes and goes. 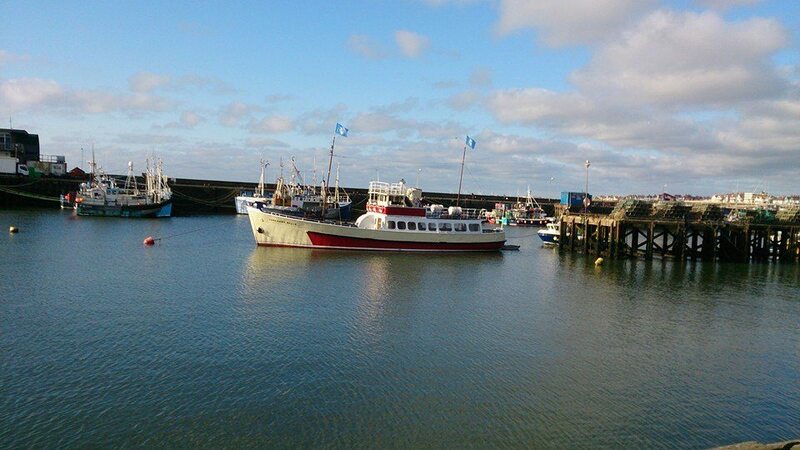 Bridlington is a traditional seaside town with a thriving harbour and fishing fleet. Like every town there are parts of it that are run down and need attention but there is lot of regeneration happening, including a fabulous new leisure centre which is due to open this summer. There is also a lot of work being put into the town infra structure and the long talk about marina is looking more like a reality than ever before. We also have also had big names like Premier Inn investing in the town which shows that they have confidence in our future. 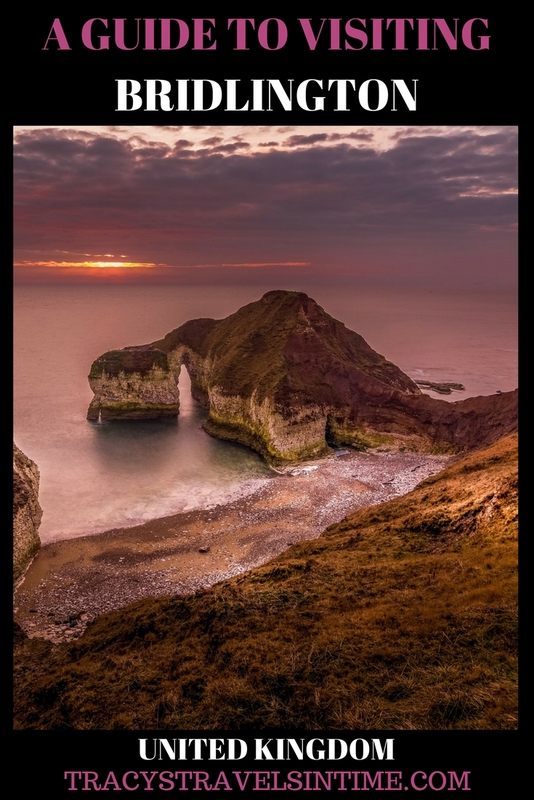 Bridlington lies in the Heart of the famous Yorkshire Nature Triangle making it an ideal base to take in visits to the stunning Bempton Cliffs RSPB reserve, home to the largest mainland colony of gannets in the UK and everyone’s favourites: the cheeky puffins. 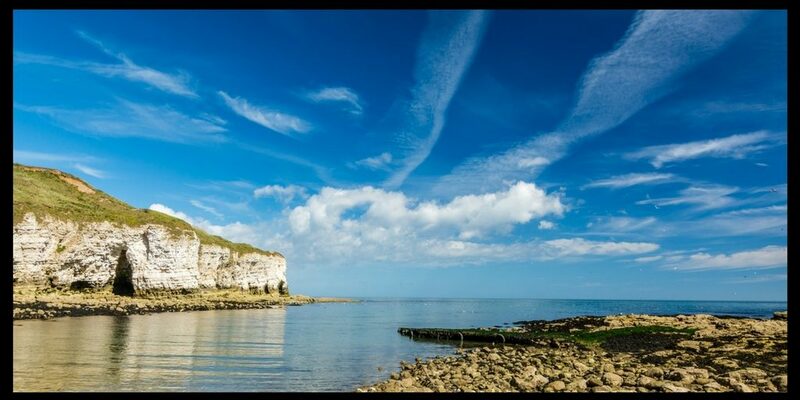 Try the Living Seas Centre at Flamborough, or take a short drive out to The Yorkshire Wolds, home to red Kites, brown hares and wildlife meadows. There is an impressive array of marine wildlife including minke whales, dolphin, seal and porpoise sightings. Whale watching trips can be taken from Whitby harbour which is approximately an hours drive. 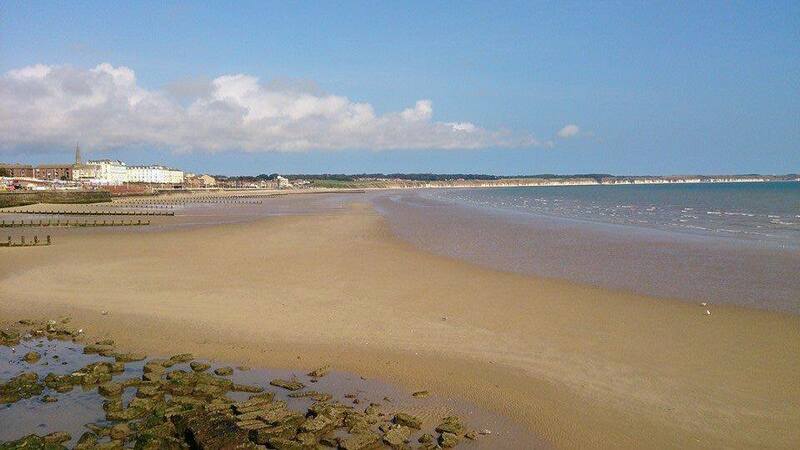 Bridlington also boasts a Blue Flag beach so you can enjoy our miles of sandy coastline in confidence. One of our favourite activities is to just sit by the harbour and have a coffee at one of the several cafes and watch the world go by. For the more adventurous there are regular deep sea fishing trips, pirate ship rides and speed boat rides if you want a thrill. 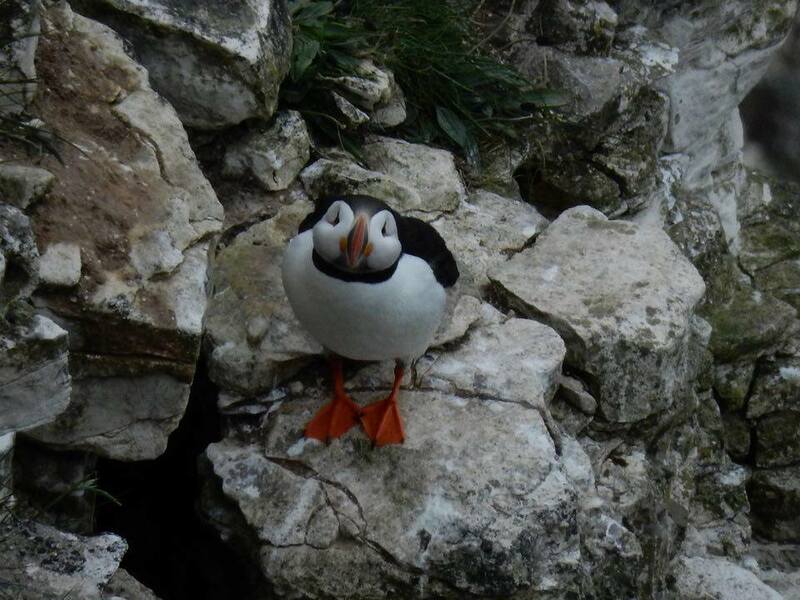 The beautiful Yorkshire Belle also does regular trips in the bay and does special RSPB trips to Bempton Cliffs to see the seabirds. These are well worth a go as the scenery is breath taking and the birds are just amazing to see. Make sure you take warm clothes though, as even on a warm day it can be chilly out at sea. 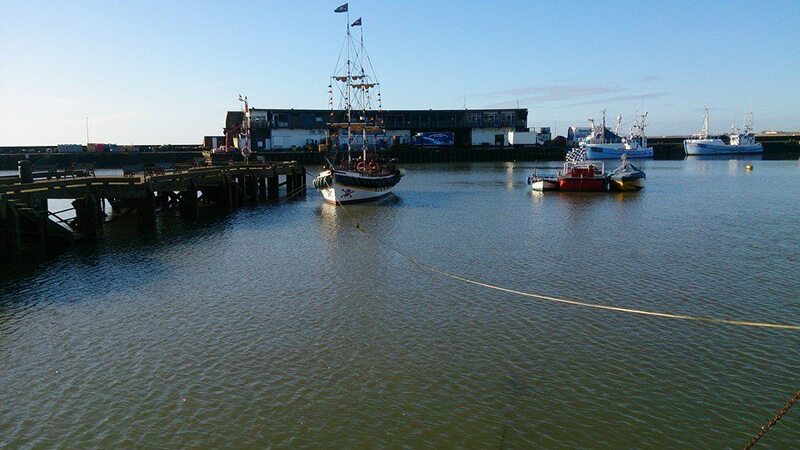 For 20p you can buy a maritime trail leaflet and spend a pleasurable hour following this around the harbour learning about some of the history …. Did you know Lawrence of Arabia was stationed here in Bridlington? 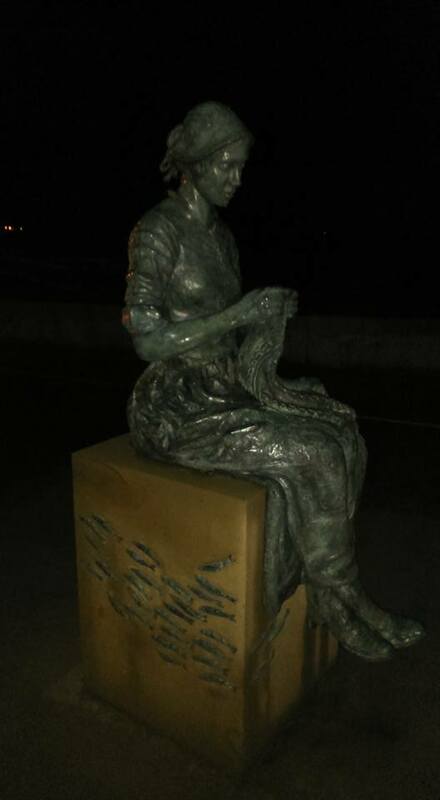 And don’t forget to have your picture taken with our beautiful Gansey girl statue who is sitting on the North pier watching for the fishermen to return. About a miles walk across the cliffs to the north is the beautifully restored Sewerby Hall and Zoo. This is a lovely walk, but for the less mobile or (if you are just lazy!!) there is a land train which will pick you up on the Prom and take you right to the hall. Be sure to see the Amy Johnson exhibition and pay the Orangery tea Room a visit before you leave for well-earned afternoon tea. If you fancy an alcoholic beverage The Ship Inn is just a short walk back along the cliff and also serves food. While you are in the area why not pay a visit to Bondville Model Village. This is a great attraction. It also has a lovely tea room (can you see a theme emerging??) and the visit is greatly enhanced by doing their quiz …. Who is the most observant??? You’ll be surprised how competitive you become. You also need to explore the historic old town where the new Dad’s Army Film was partly filmed. There are a selection of shops, restaurants and pubs plus the beautiful Priory and the Bayle Museum which costs just £1 entry. This year there is the open top bus tour around the filming sites that were used in the film. There is a an Old Town Trail to follow to make sure you don’t miss anything. In June there is a Secret Gardens event where you get to look around peoples gardens and drink tea and eat cake. In early December they hold the Dickensian festival when there is a street market and entertainment. 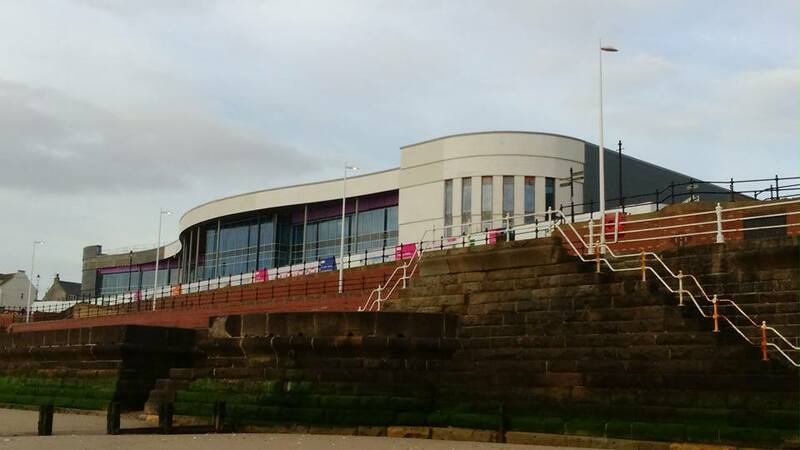 We can also boast the Bridlington Spa which is a theatre and concert /event venue and hosts many shows such as Footloose, Blood Brothers, Paolo Nutini, Jimmy Carr, James Martin etc – check out their website for details of upcoming events. Two of the most popular events are The Northern Soul weekend which is last weekend in June and the Scooter Rally. This is held during the last weekend in October. On both of these weekends the town is full to bursting, there are special events at the Spa and lots of band/ music in the local pubs. New too in May was the Kite festival held on Sewerby Cliff tops. It is hoped it will attract kite flyers from all over the world and will build into an exciting annual event. During the season there are a couple of car boot sales and markets for those of you who like to rummage for a bargain. You are also probably aware that the famous David Hockney made his home in Bridlington. For those interested in art you can travel out and see the places he painted. There is a good range of cafes, ice cream parlours, coffee shops and restaurants. 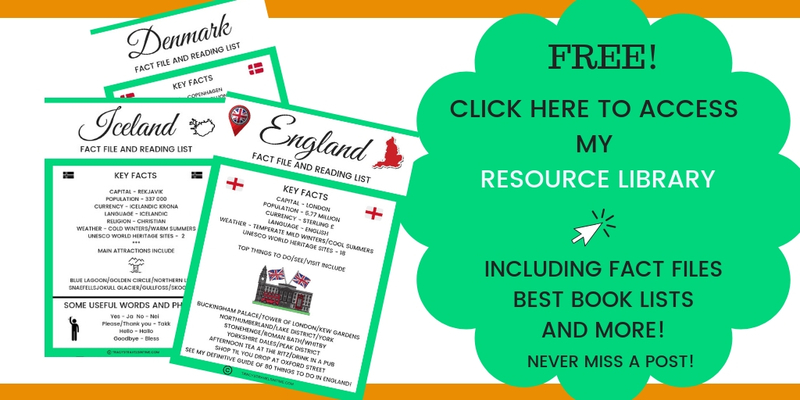 (English Pubs, Italian, Indian, Chinese, Hawaiian, Thai, and American Steak House to choose from) And of course plenty of places to get delicious seaside fish and chips, so there is something to suit every occasion and everyone’s taste and pocket. This is just a little snapshot and flavour of our beautiful little town. I hope I have whetted your appetite and tempted you to come and see for yourselves. A fabulous article about a great place and lovely people with quality guest houes.